These freezable healthy lunches will help you stay on track and save you time. 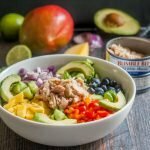 Two delicious and healthy lunch ideas with recipes. I’m serious about cleaning up my diet this year. 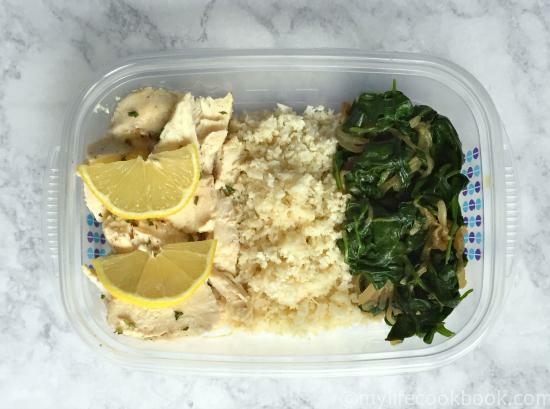 One thing I found helpful last year was when I had freezable healthy lunches ready for me. It took less time to make my lunch and I knew the quantities and nutrition. Plus it was something I liked that was healthy compared to a frozen meal from the grocery store. 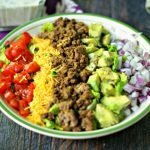 This post has recipes for two meals and some tips to help you get organized for the new year and a healthy lifestyle. What type of containers to use? First thing I did was buy these containers from target. If you have take out containers they work well too. At some point I would like to have enough glass containers as I don’t like using all this plastic but nothing is perfect. I think they were less than $3 for 4 at Target. 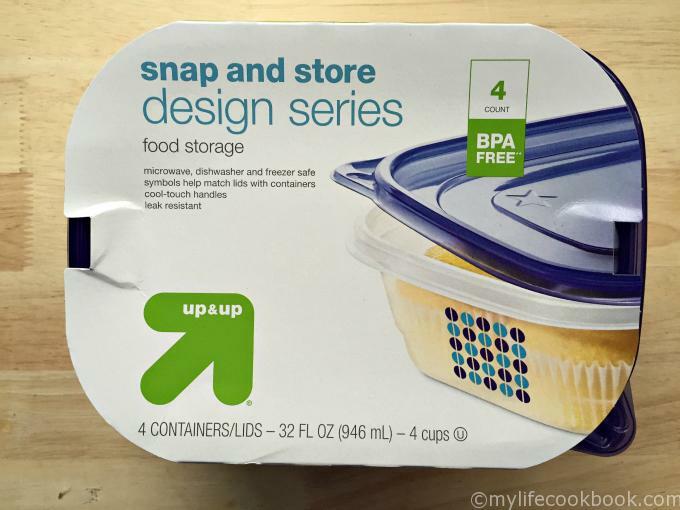 Amazon has a 10 pack of containers for $11.99 too. I am trying to add more leafy greens and organic food in my diet this year. I’ve never bought much organic food in the past but since Aldi and Trader Joe’s have so many reasonably priced options, I have no reason not too. 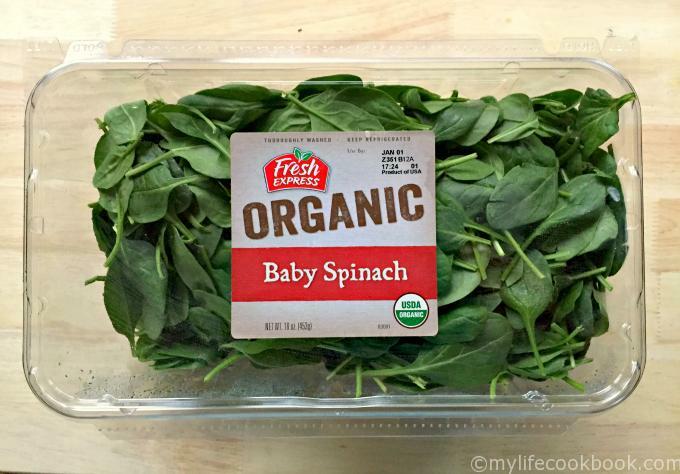 This container of organic baby spinach held 16 cups of spinach. That’s a lot of spinach! I made 2 different meals and filled 4 containers for each meal. 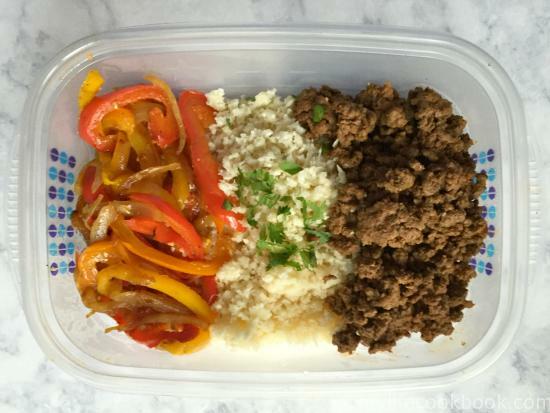 The first of the healthy lunches had taco meat, cauliflower rice and sautéed sweet bell peppers with a little cilantro to garnish. You can add cheese if you want or beans or whatever your diet requirements call for but I was aiming for lower carb and veggie packed with some type of protein. 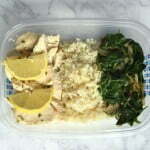 The second of the healthy lunches uses my Lemony Greek Chicken recipe leftovers, cauliflower rice and the sautéed greens. I’m a big rice fan so cauliflower rice is a go to when cutting carbs. I really like it and it’s so simple to make and use. The first side dish I made was a garlicky spinach sauté. It only took a few minutes to make and it was very tasty to me. 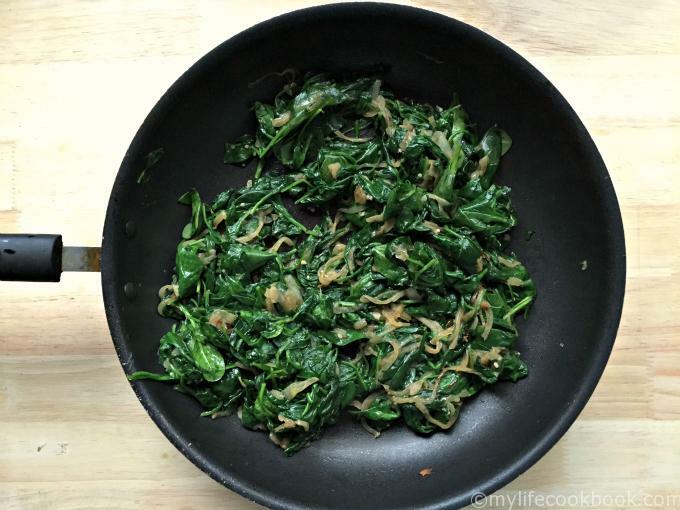 If you like sautéed greens (which are so good for you) I suggest you make this for part of your meals. The recipe is below and very simple to make. I got 8 small portions out of this container (greens shrink a lot). I also bought a head of cauliflower and pulsed it in a food processor to make 8 cups of cauliflower rice. Below you have recipes for both meals. None of the recipes are hard but I thought I’d include them to make things easier for you. I calculated what I thought were the nutritional values of these meals but it was hard. How do you calculate a marinade when you don’t consume all the oil? So if you are truly concerned with the nutritional data you might want to calculate them yourself. Use my calculations as a rough guideline. I always over estimate to be safe. I’ve also added the nutrition info of the components in the recipe itself. Each of these healthy lunches took roughly 6 minutes to reheat from frozen. Just to give you an idea. Times may vary. Chicken can get tough when you freeze it and microwave it, at least in my opinion. If this bothers you, use a different protein or buy a rotisserie chicken to have on hand to add to your side dishes. You can cut down the fat contents buy using less oil to saute your vegetables and use cooking spray instead. Or you can steam them and add a bit of oil afterward for flavor. I personally don’t mind the fat content but others might. Add more or less of the side dishes if you want to alter the nutritional counts of these meals. I think next time I would use more cauliflower and perhaps less protein. Use herbs, spices, nuts or seeds to add more crunch or flavor if you want. For instance you could add hot sauce, cheese, avocado, sour cream, salsa etc to the taco meal and parsley, oregano, lemon, almonds or pine nuts to the chicken dish. Use your imagination. Sorry this is a long one. 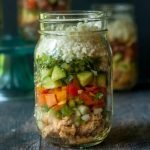 Please let me know if you have any questions or share with me your ideas for some freezable healthy lunches. I would love to hear and learn from you! In a large saute pan heat your oil and onions, salt and pepper. Cook your onions until the are browned a bit. Add your garlic and mix well. Add your spinach 4 cups at a time until mostly wilted. Take off burner and let cool. Cut cauliflower into pieces and place in a food processor. Pulse until it looks like little pieces of rice. Do not over process. You may have to do this in batches. If you have large pieces take them out and reprocess. Place riced cauliflower into a microwave safe bowl. Heat large saute pan with oil and onions. Cook for a few minutes until onions become translucent. Add peppers, salt and pepper. Saute until pepper become soft. Cook for another minute and then take off burner. Spray large skillet with cooking spray. Add your meat and start to brown it. When it's starting to brown, add all your spices and continue to cook. When meat is completely browned, take off burner and let cool. You are awesome. I was looking for something just like this. I knew I could freeze my healthy meals, but it is nice for someone to have already tried it and verify that they reheat well. Thank you! Hope you like it Christian! Let me know if you have any questions about it. I love this. I keep telling myself to do this too. These are perfect for busy days. No excuses now, they are all filled with healthful ingredients. And they look delish! Thanks KC! That’s what I need…no excuses! 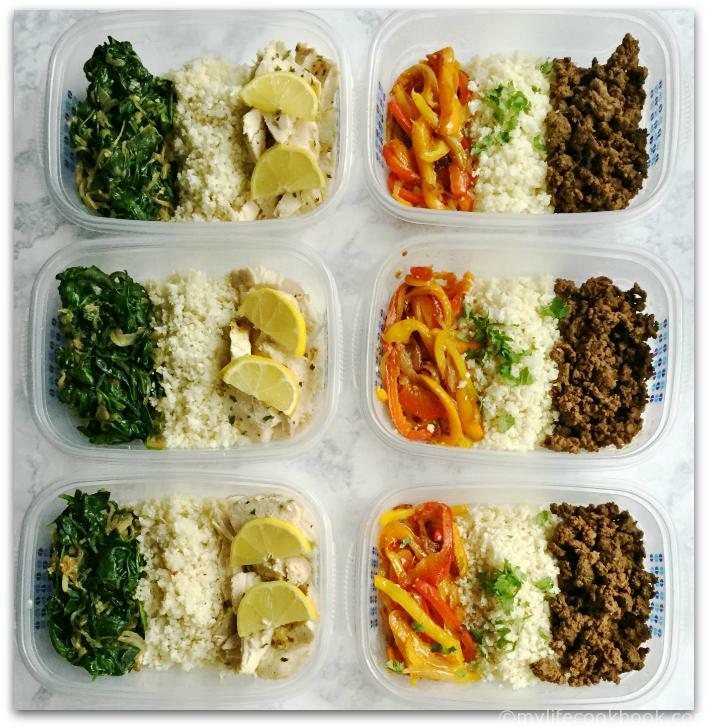 This is perfect, I really need to do more meals like this to help me stay on track during the week with my lunches. Yes Michelle, it really does help. What a great idea to make, portion out, and freeze for later! 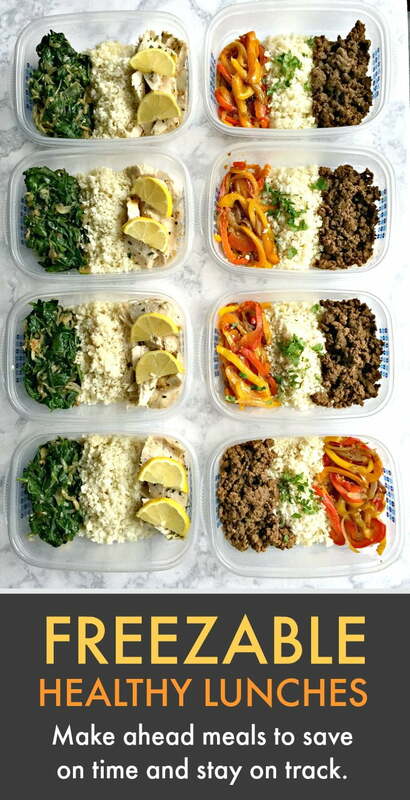 These meals look yummy! Thanks Cathy, I feel like they help me stay on track and save time. 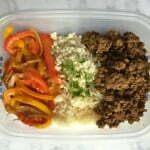 I have never made cauliflower rice will have to try it. It’s surprising really good. Very close to rice but it’s not rice. 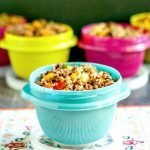 I love the make ahead lunch idea and these are really a great healthy alternative to fast food. I needed something I could pop in the microwave, otherwise I would sit there and think “what am I in the mood for” and then make it and usually it wasn’t anything healthy. This saves me time and calories. We often have leftovers for lunch but sometimes there just isn’t any. These are a great idea to fill those gaps! That’s exactly right Caroline. I had planned to eat these everyday but I’ve had a lot of leftovers this week and only had a few. But I know they are there when I need them. Denise–this is fabulous!! I love that you made them and frooze them to keep on hand. This will help so many out! Thanks Kristen! It’s helping me so I thought maybe it would help other people.